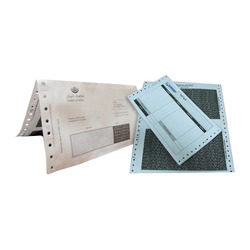 We provide the best solutions for every envelope kit in India. We are the leading manufacturers for major MNC and Government companies to provide one stop shop for envelope and printing works. As committed towards offering our customers customized solutions as per their preferred needs, we are offering Postal Ballot Kit. With the support of our vast experiences and proven technology, we offer these solutions for the needs of printing. Under the specified kit, we make assortment of outer envelope, BRE, postal ballot form and notices, asked exactly as per the specifications of our clients. It has been our prime consideration to offer our customers qualitative solutions and backed by this perception we have introduced Warrant Kit printing services including corporate, commercial and governmental establishments. These kits are designed exactly as per the specifications asked by our customers and the complete execution is made with in promised time frame. Our in-house designers accomplish the whole task under their strict surveillance. Being a client-centric firm, we have introduced printing services for our rectified customers inclusive of Statement Kit. We use advanced printing technology and thus, deliver the specified quantity of kits as per the exact specifications offered by customers. Our experts carry out the complete procedure keeping in consideration the market needs & customer requisites. For our profound customers, we have introduced Pin Mailer Services under the specified category of solution offered. 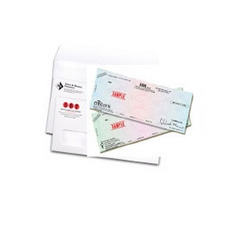 Under the extensive array, we design & prepare pin mailer kits to be used specifically in banking and insurance sectors. Our in-house experts carry out the complete procedure keeping in consideration the relevant information offered by customers, so that they must have solutions as per their needs & requirements. We are liable towards delivering the undertaken assignment with in promised time frame. 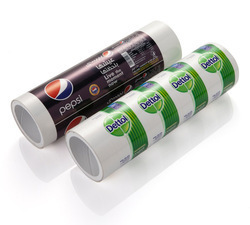 We are the leading supplier of Label Stickers Printing Services. 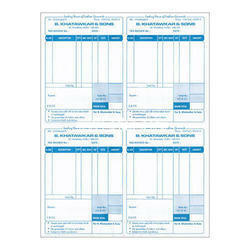 We are the leading supplier of Pre Printed Stationery. Working with a belief to offer our customers complete business solutions, we are engaged in providing Credit Card Kit printing service. In the process, we are supported by our experienced professionals who are well-versed with the market requites and customers’ preferred choices. 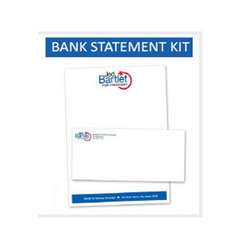 Under the specified category, we have assorted outer envelope, user guide booklet, letterhead and debit & credit card holder, so that our customers must have complete solutions for their commercial as well as personal banking needs.